Located in the mountain range of New Hampshire, Saco Lake Bath House provides hikers with a place for a lookout and relaxation. My design concept was to show the thermal qualities of the three different temperatures of baths through a series of public and private spaces. 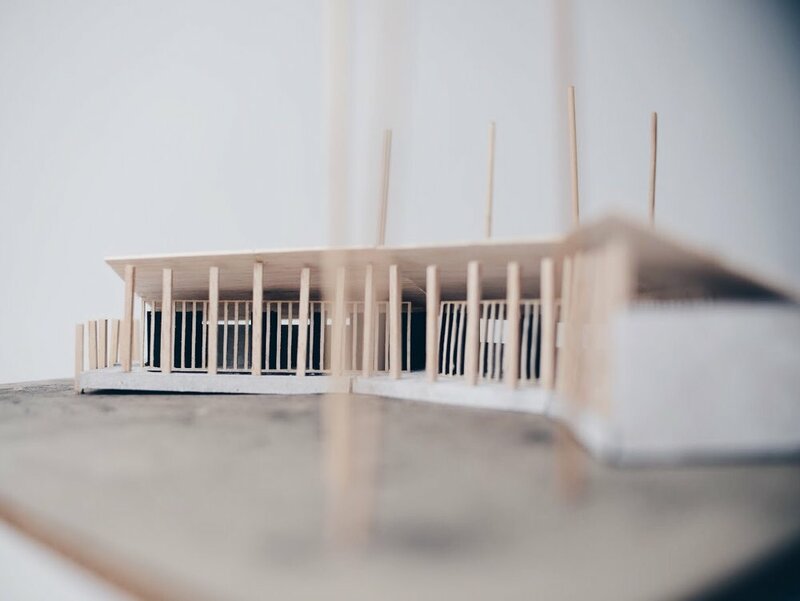 The use of a concrete platform and wood columns juxtaposed with each other helps accentuate the idea of public areas and private. 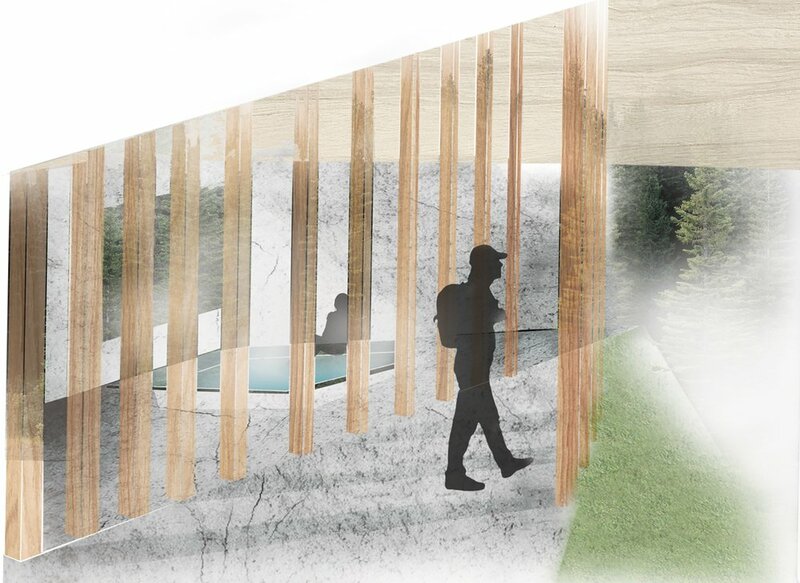 The columns provide two forms of circulation throughout the three segments of my building, Where wood columns are spaced out, such as the warm and cold pool, the structure provides an area open to more hikers and people to congregate, while the dense columns provide a more secluded area where the hot tub is. 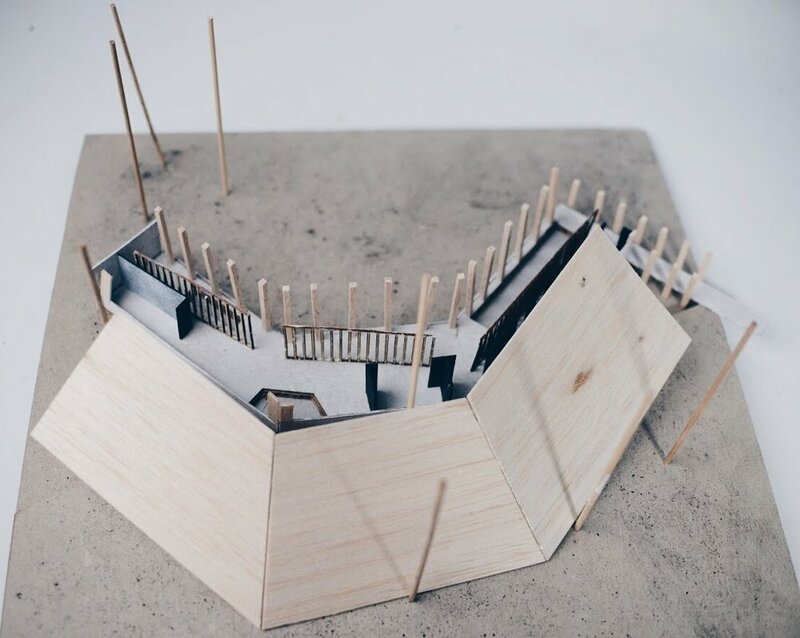 The sloped wooden roofs also emphasize my concept, as it grows taller and opens up to let in more of a view, while where it slopes down it provides more of a closed private space.